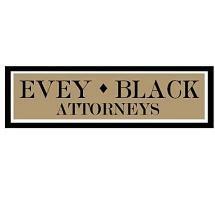 At the law firm of Evey Black Attorneys LLC, we assist people in Hollidaysburg, Pennsylvania, who face a wide range of legal situations involving bankruptcy, business formation, elder law, estate planning, divorce, separation, property division, child custody, child visitation, adoption, contracts, nursing home abuse and neglect, wrongful death, car accidents, workplace injuries, probate, estate administration, real estate law, and workers’ compensation. Our legal team helps clients’ draft contracts for living wills, trusts, government agencies, land use and zoning, as well as landlord and tenant disputes. The law firm has been serving people throughout Blair, Cambria, Centre, Bedford, Huntingdon, and nearby counties for more than 50 years. Our dedicated attorneys are members of prestigious organizations, including the Blair County Bar Association, American Bar Association, Pennsylvania Bar Association and Geriatric Interest Network. We are focused on helping our community, as well as the residents and business owners who live and work here. Our legal team will put full energy into investigating the details of each case. Whether the situation requires mediation and negotiations, collaboration, or aggressive litigation, we are prepared with the experience necessary to yield optimal results for our clients. The law firm of Evey Black Attorneys LLC is also happy to accept credit cards as a form of payment for our services.